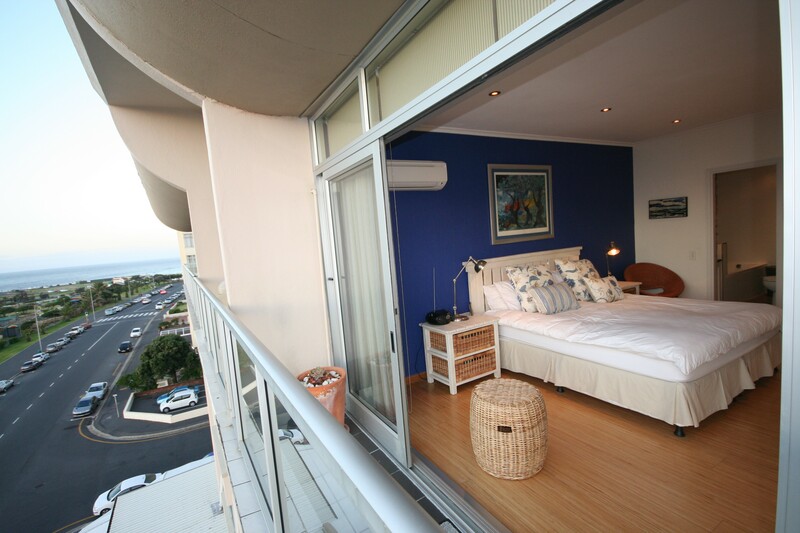 Mouille Point Holiday Accommodation, featuring exclusive and spacious 2 bedroom / 2 bathroom fully furnished with wrap around open balcony and rooftop terrace. 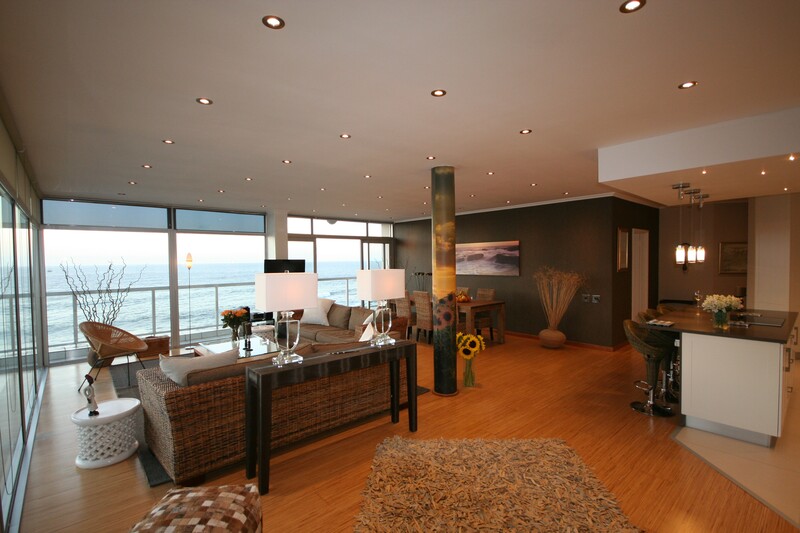 Spectacular views overlooking the Atlantic Ocean and boulevard as far as the eye can see. 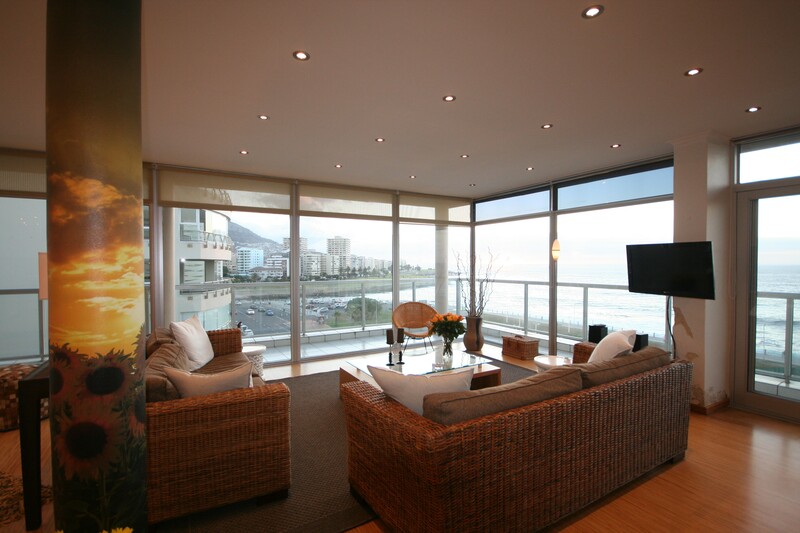 This penthouse apartment on Mouille Point beachfront offers wonderful open space, luxury and comfort. 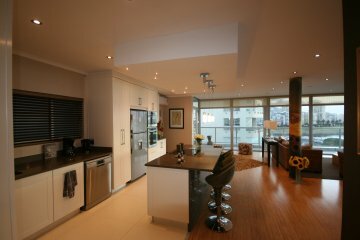 The large open plan living room and kitchen is flooded with natural light as you find windows and sliding doors from side to side and floor to ceiling. 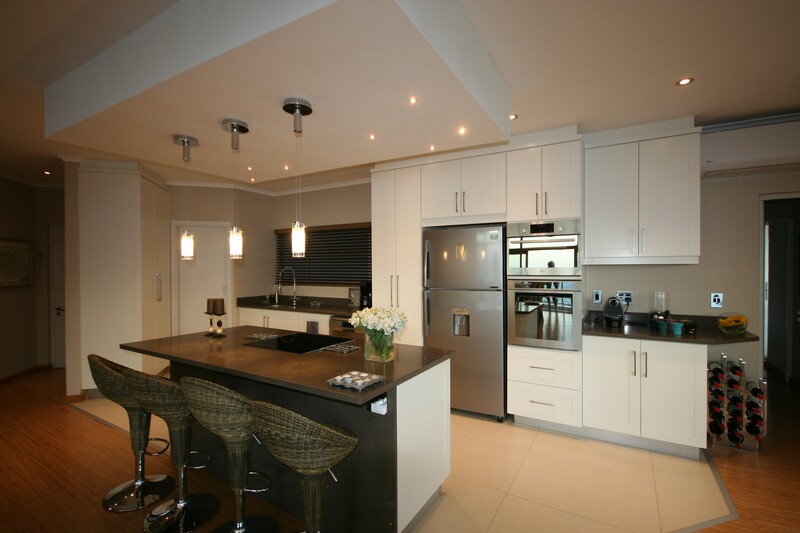 The kitchen is completely renovated and offers state of the art appliances and a cooking island with bar stools. 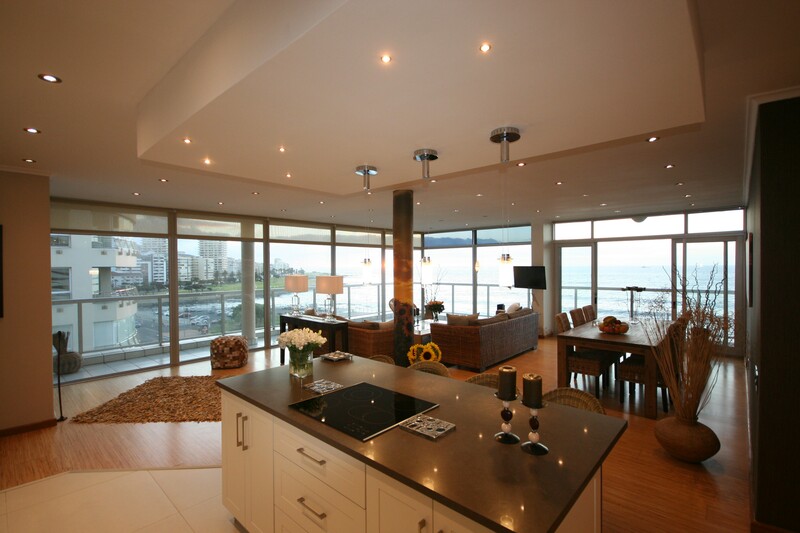 The bulkhead with starlights over the island makes for an attractive feature. 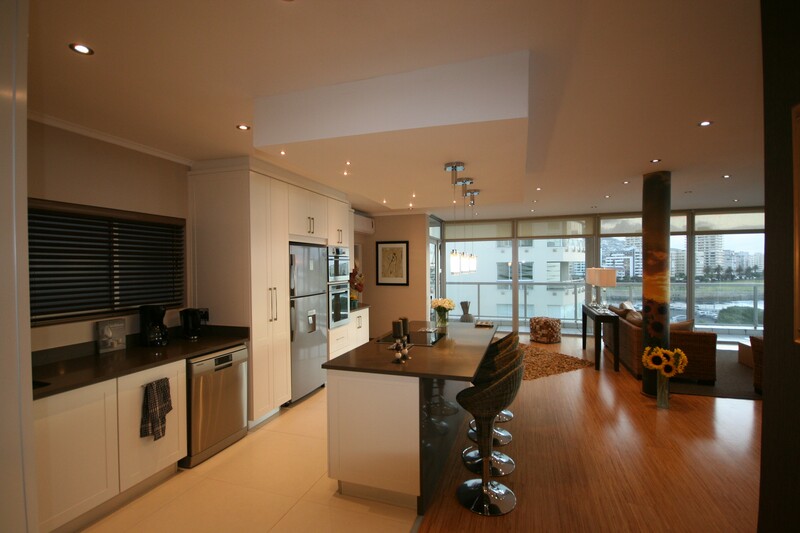 A separate laundry room with washing machine and tumble dryer is situated off the kitchen. 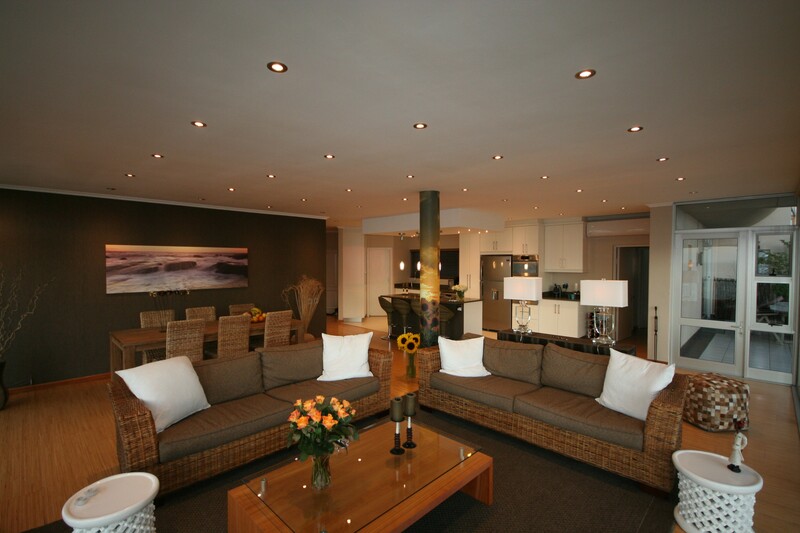 The oneside of the livingroom is a dining area with 6-seater solid wood dining table and chairs. 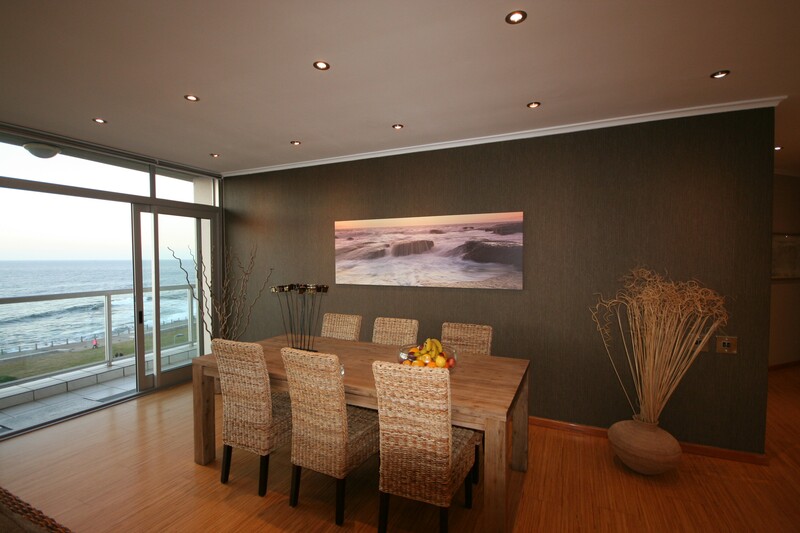 The wall behind the table is covered with complimenting wallpaper and art which completes the decor. 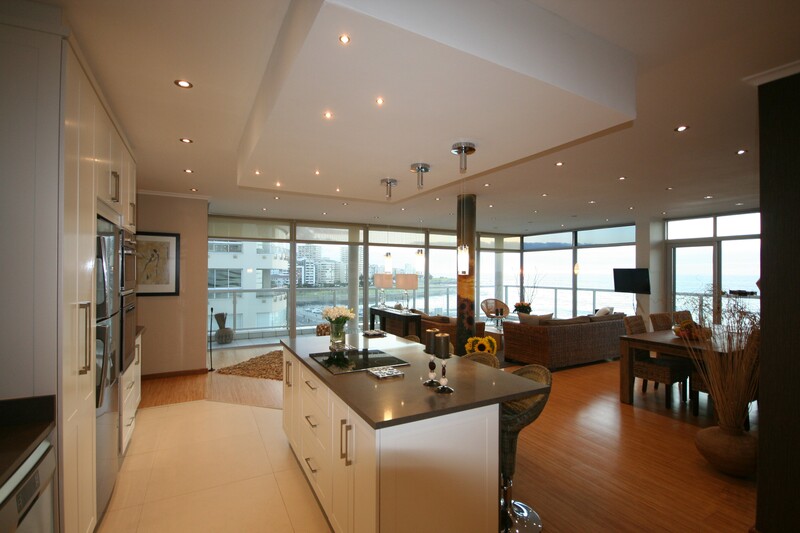 Two large comfortable couches facing the windows allows you to relax whilst enjoying the great unobstructed view. Read a book or newspaper and watch whales and dolphins playing just off the coast. 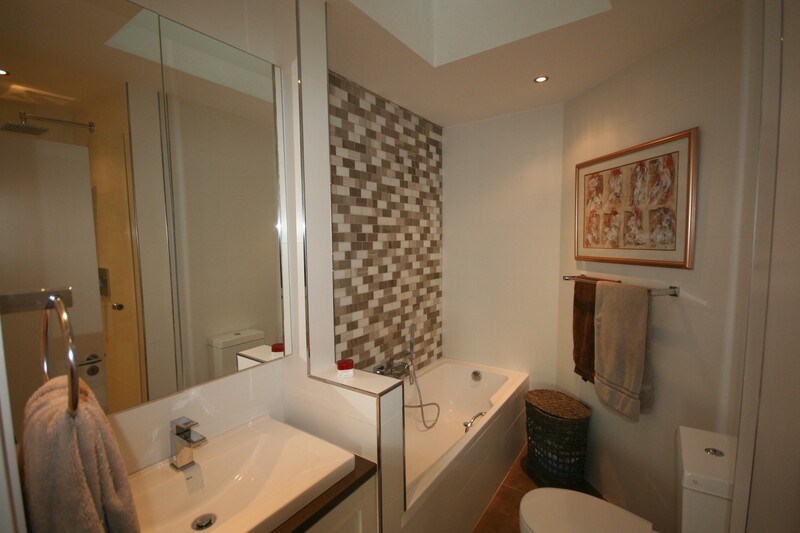 Both bedrooms are en-suite. 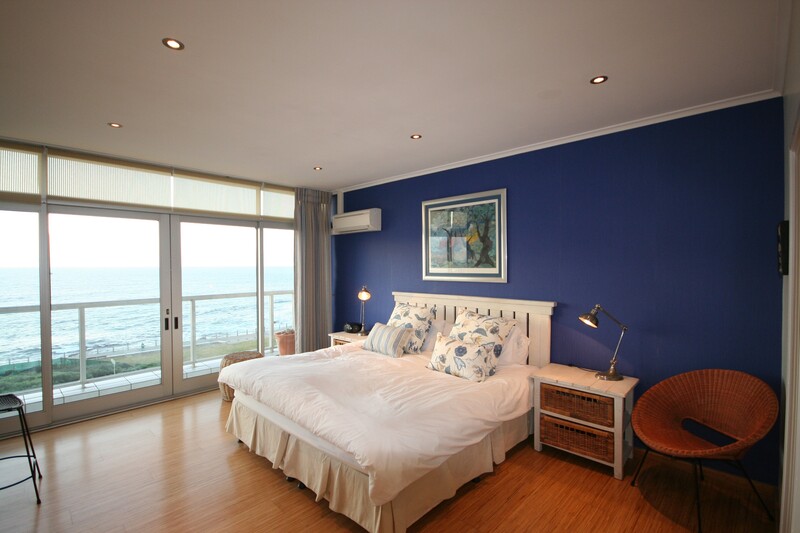 The master bedroom with King size bed faces the ocean with floor to ceiling windows and sliders from wall to wall. Leave them open at night and the sound of the ocean will ensure a peaceful rest. 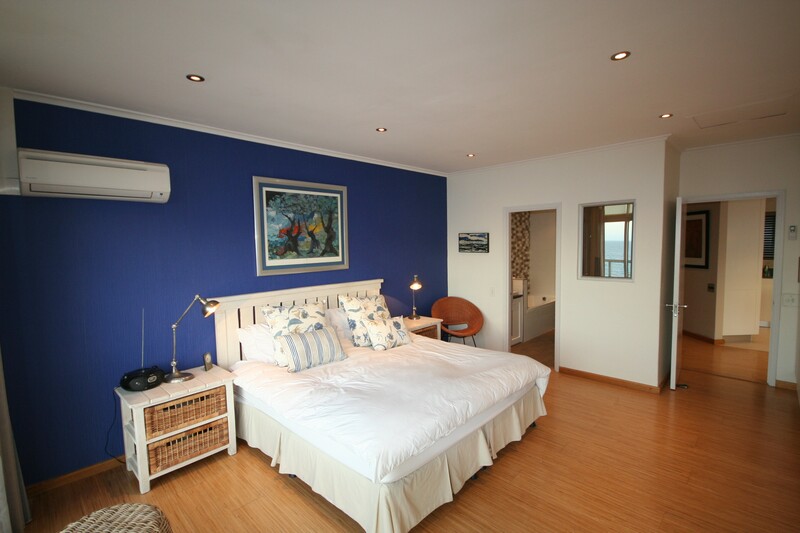 The bathroom has a shower cubicle with views over the ocean, bathtub, beautiful vanity with hand wash basin and toilet. 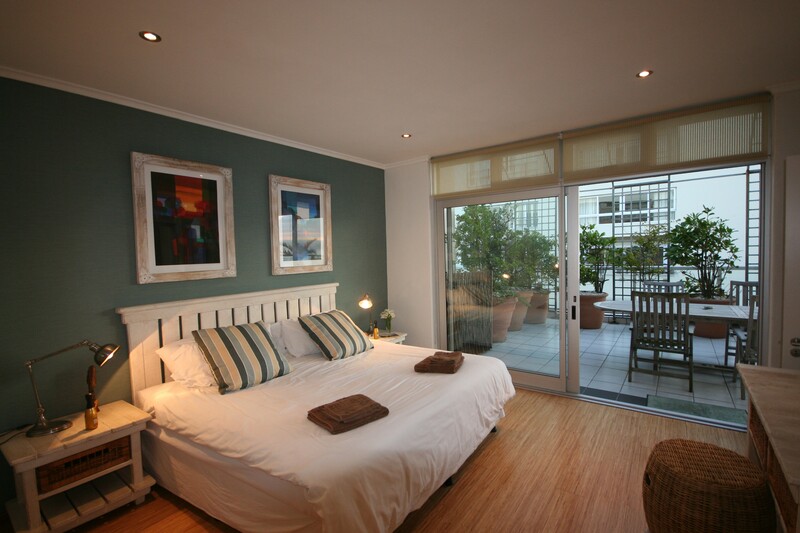 The second bedroom faces the garden terrace, again with huge sliders and windows from side to side and floor to ceiling. 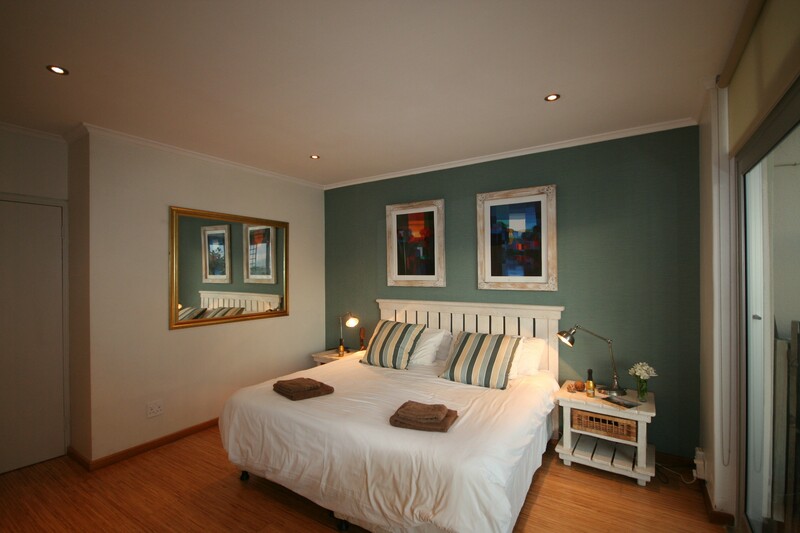 This bedroom can be made up as double (king size) or twin (two x singles). The garden terrace with patio furniture and plants creates an oasis in the sky and offers great outside living and entertainment. 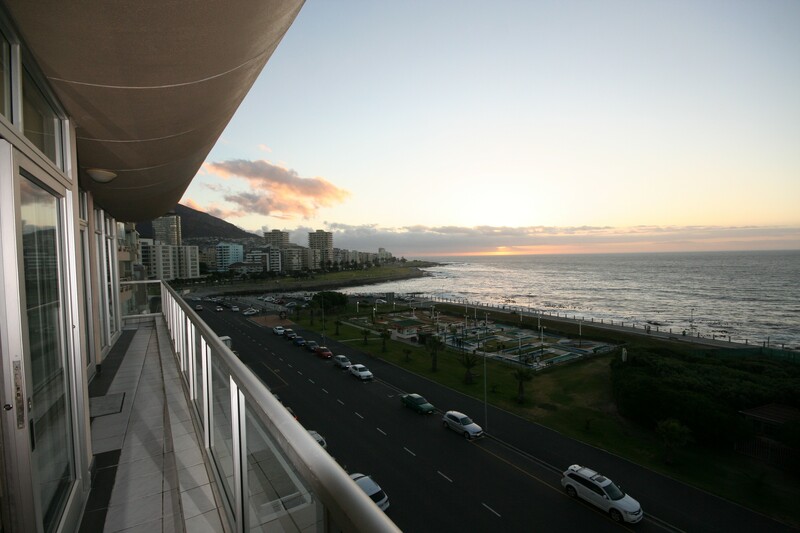 This is a truly wonderful spot to enjoy the sunset over the Atlantic!